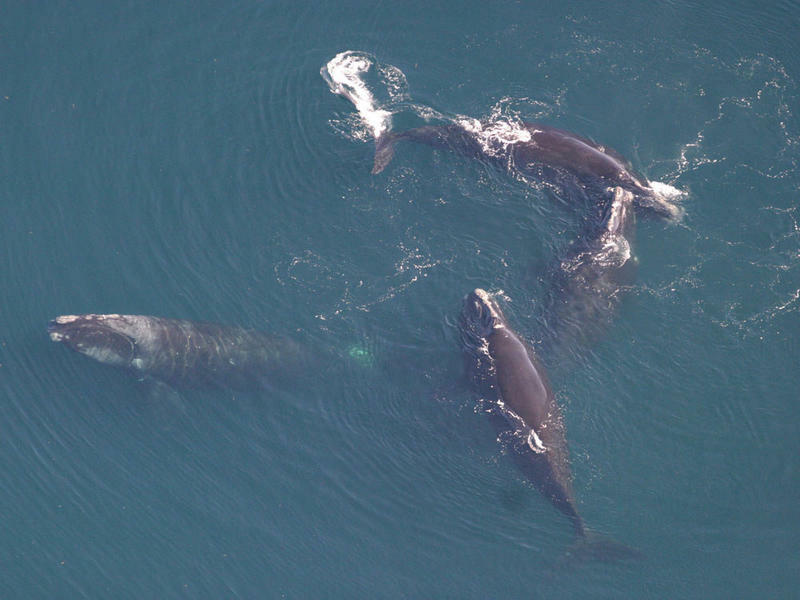 Four North Atlantic right whales. NOAA says in a statement that it's using a new statistical method to get a "clearer and timelier picture'' that's less affected by changes in whale distribution. It says the number of whales declined from 482 in 2010 to 458 in 2015. There's also a widening gap between males and females.